Greetings folks! 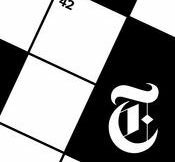 Thank you for choosing our site for all New York Times The Mini Crossword November 18 2017 Answers. We have shared below the answers for the famous NY Times Mini Crossword. We are not affiliated with New York Times. We post the answers for the crosswords to help other people if they get stuck when solving their daily crossword.